Since Walt Disney’s animated musical Snow White & the Seven Dwarfs amazed audiences in 1937, the Snow White fairytale has produced several screen adaptations, ranging from the brightly-coloured Mirror Mirror to Snow White and the Huntsman’s fast-paced action. Blancanieves (meaning Snow White) relocates the story to 1920s Spain, where a young girl, Carmen, is cast out by her horrid stepmother. 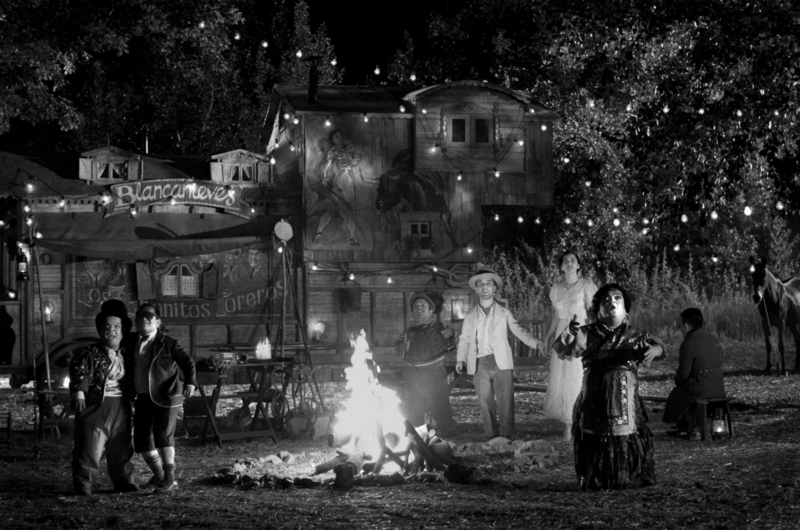 Rescued by a travelling troupe of bullfighting dwarfs, Carmen is able to utilise the skills her father taught her and reinvent herself as Blancanieves the mighty Matador. This black-and-white Spanish silent film is anything but dull.